- insert coins, and entered the game tutorial. - start the game, automatic selection game scene. 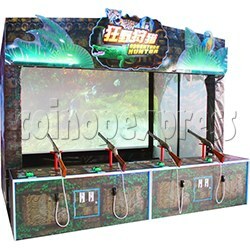 - players use a shotgun shot at the animals on the game screen, get scores. - ranks the players according to the shooting scores.